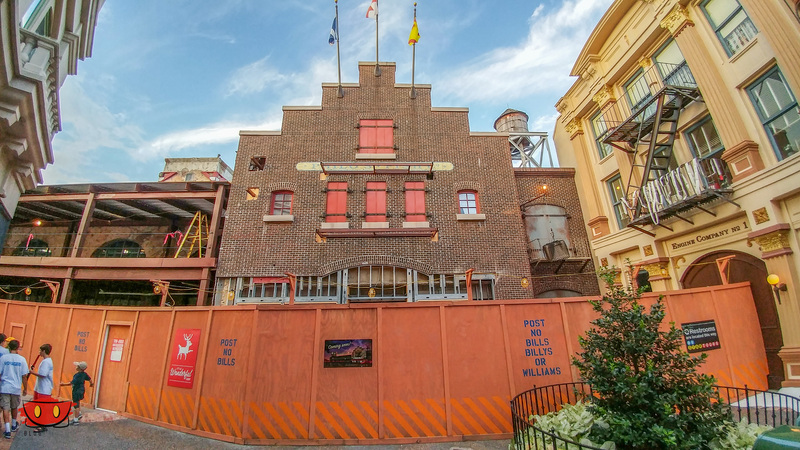 Construction of the newly named PizzeRizzo at Hollywood Studios is coming along nicely and concept art was added to the walls just the other day. 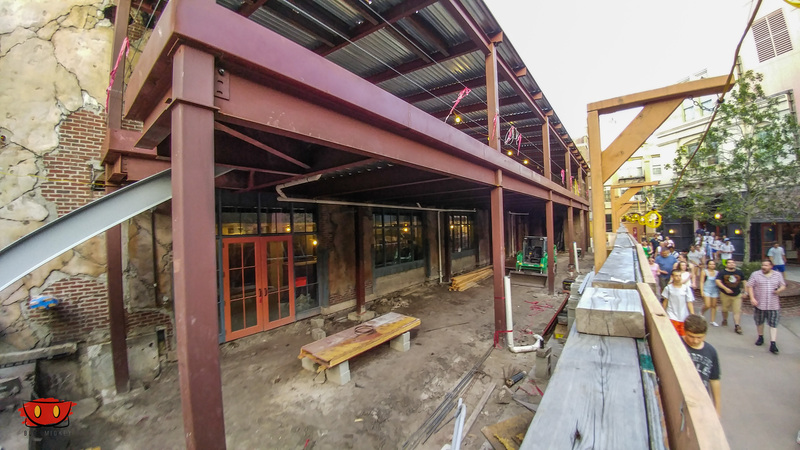 Here’s a look at the latest progress, showing what appears to be second floor seating areas. 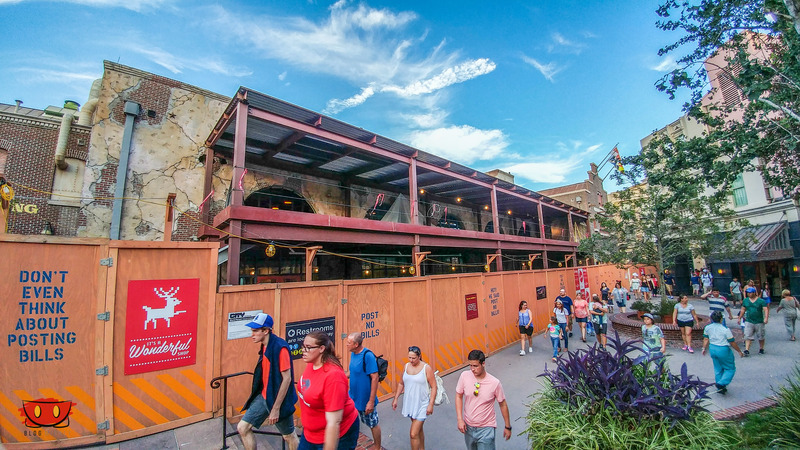 A peek over the wall shows very little in terms of work, but we do get a look at the ramp/staircase that will be used to access the second floor from the outside of the restaurant on the left side of this image. Holes cut in the facade. 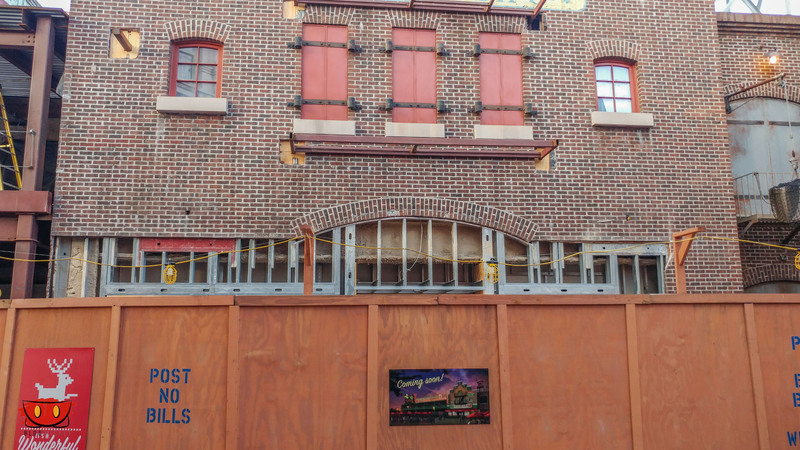 A look at the main entrance brick facade. 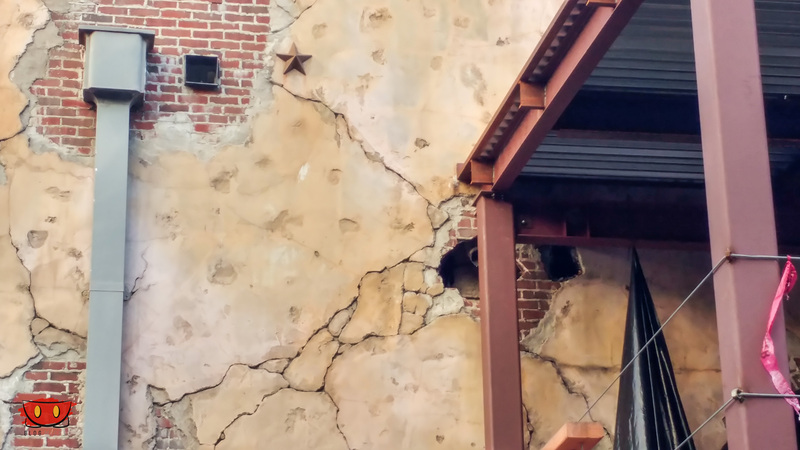 A closer look reveals exposed structure where the old Pizza Planet entrance was. 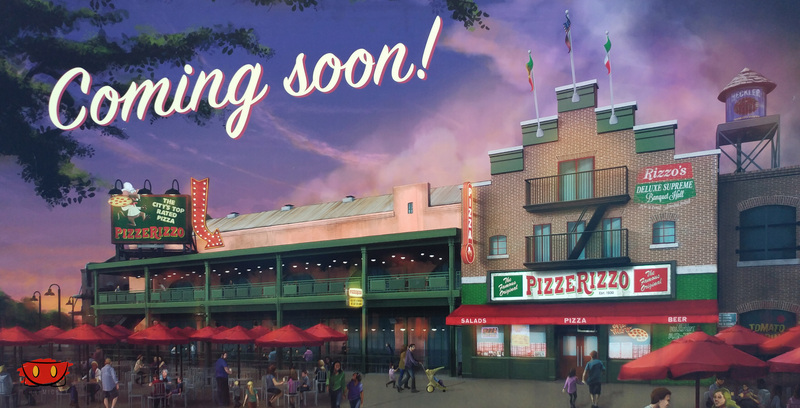 The Disney Parks Blog, when initially announcing PizzeRizzo, put a September opening date on the restaurant, but then later modified their post to say “Fall”.